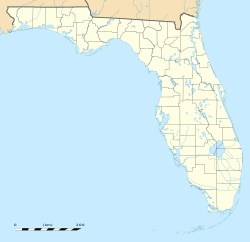 ^ 1.0 1.1 National Register of Historical Places—Florida (FL), Brevard County. National Register of Historic Places. National Park Service. 2007-09-23. 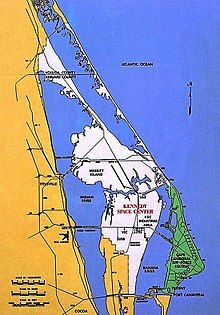 ^ Cape Canaveral Air Force Station. Florida Heritage Tourism Interactive Catalog. Florida's Office of Cultural and Historical Programs. 2007-09-23. （原始内容存档于2007-12-14）. ^ 3.0 3.1 Patrick Air Force Base—FAQ Topic. Patrick Air Force Base. （原始内容存档于2007-11-17）. ^ World Aero Data: Cape Cnaveral AFS Skid Strip—XMR. [2008-08-31]. ^ CAST 1999, pp. 1-29 to 1-30. ^ Rob Coppinger. SPACEX BREAKS GROUND AT CAPE CANAVERAL’S SPACE LAUNCH COMPLEX 40. Flight Global. 2008-02-27 [2008-08-31]. （原始内容存档于2008-08-30）. ^ Roger G. Gilbertson. SpaceX Falcon 9 maiden flight delayed by six months to late Q1 2009. 2007-11-01 [2008-08-31]. Research Triangle Institute Center for Aerospace Technology (CAST) Florida Office. LAUNCH SITE SAFETY ASSESSMENT, SECTION 1.0 EASTERN RANGE GENERAL RANGE CAPABILITIES (PDF). Federal Aviation Administration. March 1999 [2008-08-31].